Nikon both designs its own CMOS image sensors (CIS) to be fabricated by a foundry partner, and sometimes uses CIS components from its camera competitor Sony. That Nikon sources CIS components from Sony and Aptina is not news. What is somewhat interesting is that after a run of Nikon-designed CIS devices in Nikon FF and APS-C cameras, Sony has muscled its way back in for the FF format D800. Chipworks has monitored the pixel structures of CIS devices used in 10 Nikon DSLRs (APS-C and FF) since 2004. 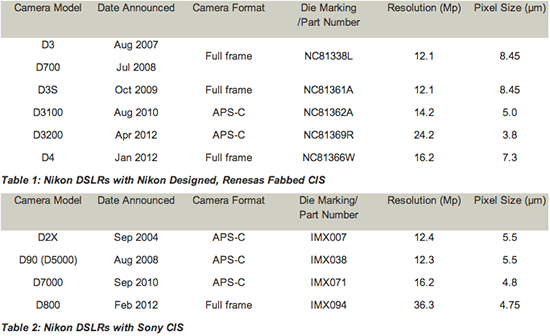 Six cameras using Nikon-designed, Renesas fabricated CIS are summarized in Table 1, while four cameras using Sony CIS are listed in Table 2. 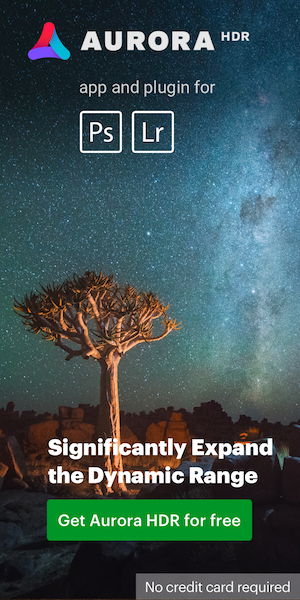 While these data points do not represent a comprehensive analysis of Nikon’s product portfolio, enough cameras have been analyzed to show Nikon’s preference of its own CIS components for prosumer and professional DSLRs (the D7000 and D800 being exceptions). This entry was posted in Other Nikon stuff and tagged Chipworks. Bookmark the permalink. Trackbacks are closed, but you can post a comment.